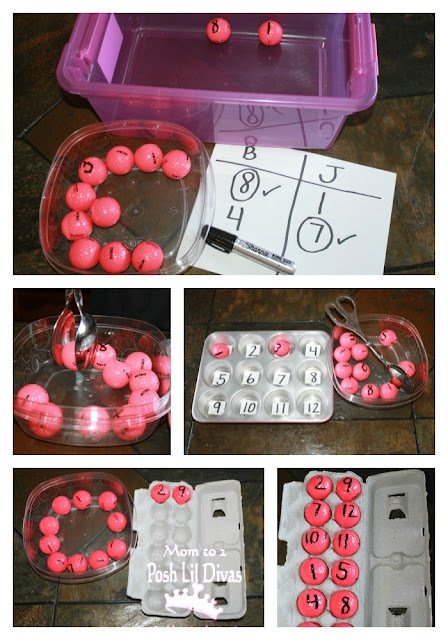 One of the best way to teach children math concepts is through hands-on games and activities. Learning occurs so much more easily when children are being actively engaged and having fun. While children may struggle with certain math concepts, when they have the opportunity to practice those skills through stress-free, active and engaging activities genuine learning takes place. As part of "It All Adds Up" on the PBS Kids Lab, I am sharing three FUN hands-on math activities aimed at helping strengthen children's number recognition, counting and comparing skills and foster an awareness of data analysis. Click on over to the PBS Kids Lab to see the math fun we had with golf balls and household items. Let's build those early math skills! You are absolutely the most creative mom that I have ever seen!